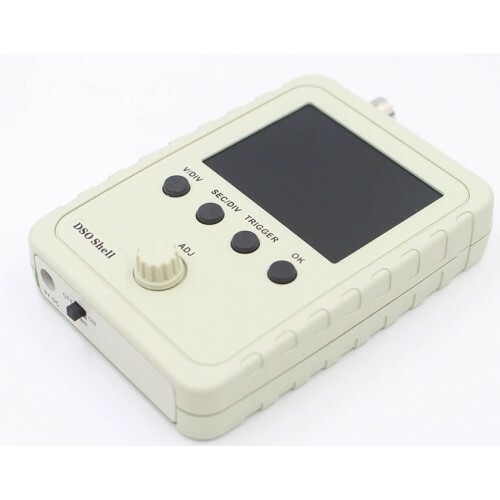 Pocket size digital oscilloscope with nice plastic housing. 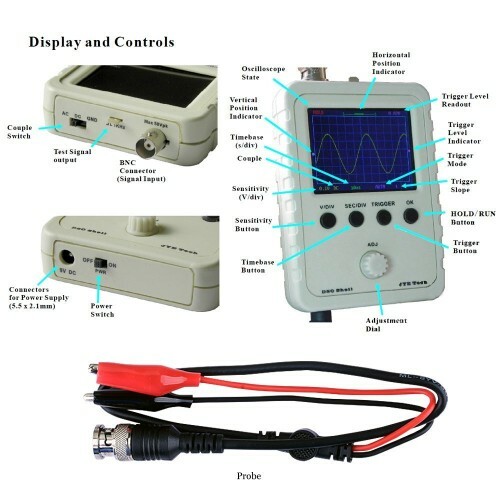 It can be used for basic waveform visualization and debugging. 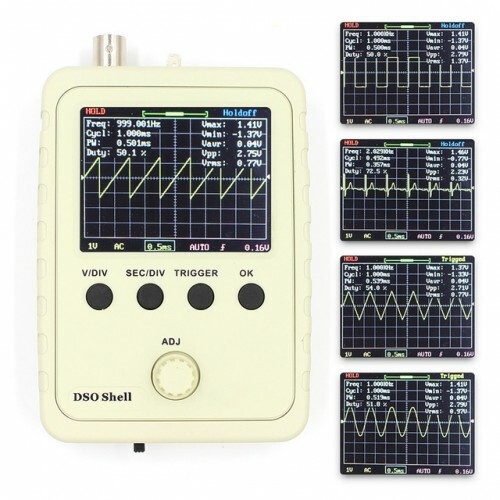 This item is fully assembled DSO150 with erady to use out of the box. It requires a 9V power supply through a standard DC jack. A 9V battery with DC jack connector or a wall DC adapter could be used to power up this device.